If you're a fan of cult movies and have a taste for adventure, buckle up and get ready for a wild ride into the dizzying world of EUROCRIME! Step back to a time when the streets ran amok with supermarket robbers and handbag-snatching pillion riders; when criminality had hit an all-time low and there was NOTHING lowlife gangs weren’t capable of. Out of the darkness rose a group of uncompromising, moustachioed cops who ruled supreme in their cities: lone crusaders who were often as brutal as their quarry. 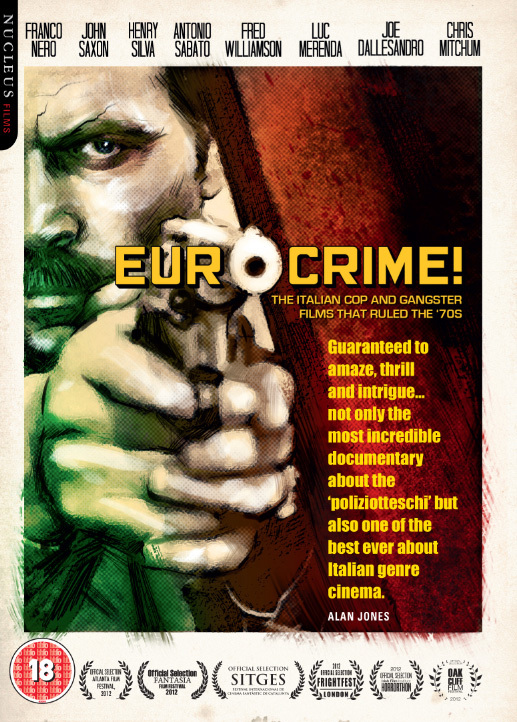 Welcome to Italy of the 1970s – a sleazy, lawless frontier unlike anything witnessed anywhere else in cinema, and the backdrop for the poliziottechi or, as it’s since become known, the Eurocrime genre. 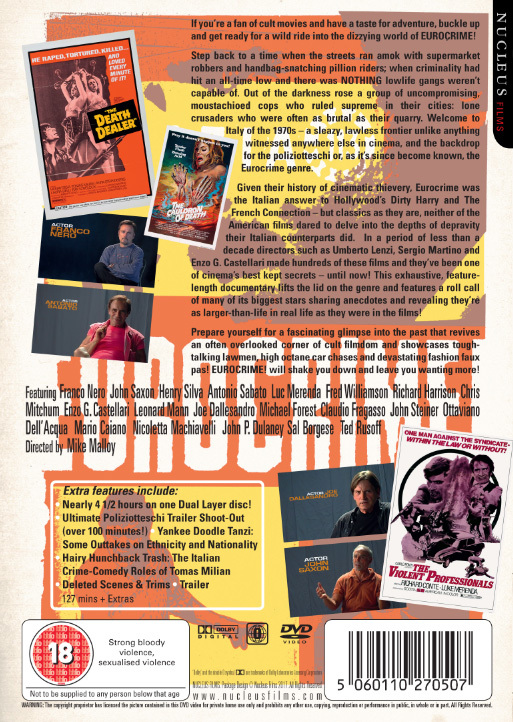 Given their history of cinematic thievery, Eurocrime was the Italian answer to Hollywood's Dirty Harry and The French Connection – but classics as they are, neither of the American films dared to delve into the depths of depravity their Italian counterparts did. In a period of less than a decade directors such as Umberto Lenzi, Sergio Martino and Enzo G. Castellari made hundreds of these films and they’ve been one of cinema’s best kept secrets – until now! This exhaustive, feature-length documentary lifts the lid on the genre and features a roll call of many of its biggest stars sharing anecdotes and revealing they’re as larger-than-life in real life as they were in the films! Prepare yourself for a fascinating glimpse into the past that revives an often overlooked corner of cult filmdom and showcases tough-talking lawmen, high octane car chases and devastating fashion faux pas! EUROCRIME! will shake you down and leave you wanting more! Nearly 4 1/2 hours on one Dual Layer disc!